With fully-featured game engines increasingly available to the general public, it's no wonder we're seeing a bunch of modern remakes of classic games. 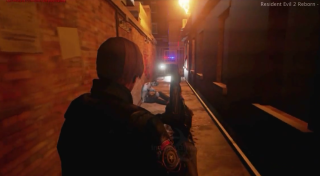 Yesterday we saw parts of World of Warcraft recreated in Unreal Engine 4, but Italian "indie software warehouse" InvaderGames is recreating the entirety of Resident Evil 2 in the engine. The not-for-profit project will be free to the public later this season. The video above shows a ten minute chunk of the project in action, demonstrating the new 3D models, particle effects and lighting systems. The studio has also revamped textures, scripts, sound effects and animations, among other things. It's a huge, labour-intensive project, but it's yet to be seen what Capcom will make of the final product: Resident Evil HD released last year, and Resident Evil Zero HD is expected next year, so an official remake of the original Resident Evil 2 seems more and more likely.